As a volunteer-based organisation that provides emergency assistance and support to the people of Western Australia, we rely on the compassion, commitment and community knowledge of dedicated volunteers. These volunteers work with communities before, during and after an emergency, providing the support and assistance needed to help them prevent, prepare, respond and recover from emergencies. Together with their communities and with the support of various groups, volunteers work to keep you and your loved ones safe. 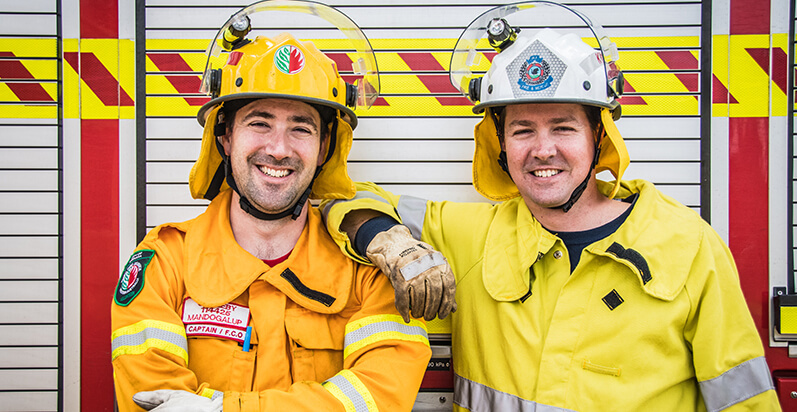 WA is served by more than 26,000 emergency services volunteers working in a variety of roles. These volunteers generously offer their time and expertise to work with their community to prevent, prepare, respond and recover from emergencies. Each of WA’s five emergency services are supported by an association which provides support to all members and advocates on their behalf. DFES employ more than 1200 career firefighters who are highly trained to play a crucial role during emergency and rescue situations. DFES employ more than 300 support staff who work behind the scenes to support career and volunteer responders in their vital work. Local governments manage most Bush Fire Brigades, who are often the first to respond to local bushfire emergencies. Local governments also assist their communities to prepare for high threat periods and drive recovery efforts after emergencies. A large number of State Government departments are actively engaged in emergency prevention, preparation, response and recovery including Department of Fire and Emergency Services, WA Police, Parks and Wildlife Service, and Department of Communities. Being a volunteer is an incredibly rewarding experience that provides everyone, regardless of age or background, the opportunity to give something back to their local community. Volunteering is a great way to become more connected and contribute to your community. Whether you're working on the frontline, or in a supporting role, your local knowledge can play a vital role in strengthening your community and keeping it safe. Volunteering also provides a place to connect with like-minded members of your community, work as a team and bond over shared experiences. Working closely together with new groups of people can help you forge life-long friendships. As a volunteer, you'll have the opportunity to strengthen your communication and teamwork skills, all of which can be carried into your personal and professional life. All emergency services volunteers are offered free training and education to meet the needs of their chosen volunteer role. Many of these skills are highly valued by employers and can be put into practice in real-world situations. Volunteer work is beneficial for your community, but it can also make a positive impact on you. When you give back to your community, you're participating in something bigger than yourself, which can provide you with a great sense of achievement. It's a proven fact that people who volunteer experience improvements in both their mental and physical wellbeing. In addition to lowering stress levels, volunteering has been linked with lower blood pressure, improved immunity and better overall wellbeing. Emergency services volunteers come from all walks of life, bringing different skills and insights along with them. United by the purpose of helping their communities stay safe, volunteers provide an invaluable service. Whether you want to get involved in the frontline action, or you feel you're better suited to work behind the scenes, there's a role for everyone to play in keeping the community safe.